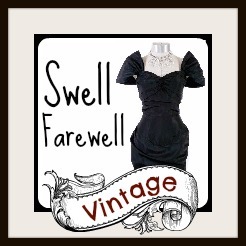 I’ve written a guest post for Raleigh Vintage on what a brand new, never-been-to-a-swing-dance-before, dancer might want to know before heading to their first swing dance. I know there are tons of these, written for every swing dance society/group ever created, but I figured these things can’t be said enough – the more resources, the better. 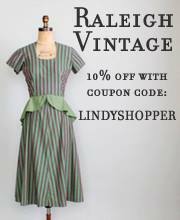 Check out the post on the Raleigh Vintage blog. This entry was posted in Editorials and tagged beginner, blog, clothes, clothing, dance, guest post, never been to a dance, new, Raleigh Vintage, Shoes, swing, swing dance, what do I wear, what kind of clothes, what kind of clothing, what kind of shoes, what to wear. Bookmark the permalink.